Plan a schedule without time constraints. I call this my “plan” as opposed to a “schedule”. Our unit studies are history based. My “plan” is effectively a check list of the various events I want to cover, with books and links, and we just work our way through the list at our own pace. Some units will take a week or two, while others may take a month or more. When we need a break from our history units, we’ll dive into a science unit or two. It is also not uncommon for more than one child-led unit to be going in tandem with our planned unit. We school year round and find no need to finish any given unit by a particular date, but if you like to take summers off, in the fall you can just start where you left off. Let your children help guide. Let’s face it, some unit studies are just more exciting or interesting than others. If interest wanes after a day or two, there is no sense in dragging out a unit study just because it is “scheduled”. Your child’s interest level will dictate the amount of learning accomplished, so if your child shows signs of disinterest, move on. Now, if your child is often disinterested or resistant due to a bad attitude or slothfulness, it is more of a character issue than a scheduling issue. Don’t worry about “missing something”. ific year-by-year course of study. We don’t have to reproduce school at home, therefore we can be quite flexible in allowing the Lord, His given wisdom, and our children’s interests to dictate the path we take. There is nothing wrong with using a scope and sequence as a reference, but don’t make the mistake of burdening yourself (and your children) with the idea that it is in stone. When I started homeschooling over a decade ago, I fell into the “what if I miss something” trap. I gleaned all I could from numerous courses of study. And I prayed. What I decided to do was make myself a K-3 Checklist (I love checklists!) to itemize what I wanted each child to know by the end of third grade. As we did our unit studies, I would periodically look at my list and make mental notes as to what I wanted to cover. We wouldn’t necessarily cover a topic all at one time, either. For instance, we may have touched on reptiles in K, then again in 2nd, and built on it yet more in 3rd. Unit studies are great like that. You can keep building on to information that has already been learned. A fantastic thing that I discovered was that even if my K-3 Checklist was incomplete by the end of 3rd, we’d get yet another chance to cover these topics. And another. And another. I made more checklists, each of them building onto the previous set. Based largely on the WorldBook Typical Course of Study, I made a 4th through 6th checklist, a 7th through 9th checklist, and a 10th through 12th checklist. All checklists are subject to change, as we get closer and closer to realizing His vision for our children. While His plan for them is constant, my understanding of that plan sometimes lacks. I know this sounds contradictory to what I’ve written above. However, sometimes siblings work at different paces and some need a little more encouragement to finish what they started. So if I see a child dragging it out, when the rest of the family is ready to move on, I’ll give notice. I’ll say something like, “We’ll be moving on to __________ on Monday, so whatever you haven’t finished by then can be completed on your own time.” This isn’t a punishment, necessarily. This usually happens when one child hits on an era, event, or person that really interests them, and they are more than happy to continue it on their own. My oldest has been doing a unit on the Wild West ever since we covered that era a year ago. If it is, on the contrary, an issue of slothfulness, this notice gives them a deadline to discipline themselves to meet. And they know the consequence, so the decision is theirs. When “life happens” look at it as an opportunity instead of an interruption. Bring yourself and your children to the Master as if clay, without form or any self-prescribed missions, because He already has a plan for you. Pray for your child to have a cheerful, teachable spirit. Pray for patience, wisdom, and direction for yourself. And have faith that He will mold His clay perfectly, to fulfill His will for you and your children. This is a great post. It’s so true that you can get caught up in the “what are we missing” we have been really working on not getting caught up in that. I love your idea of a checklist. Thanks. I think I may consider this as a way to set benchmarks. Thank you. This is a great post. Thanks for sharing it. I too have some trouble with finishing some units and more or less need to leave it up to the kids to finish it. And I do have the feeling that I am missing something in the units but I like what you said about covering it again eventually. Thanks again. Great post! I also sometimes fall victim to the “missing anything monster” 🙂 I’m getting more relax about everything as the years go by. At first with my oldest I had a very strict schedule and every time life happened I went into panic mode. It wasn’t pretty. My oldest is now doing 4/5 grade work and my youngest is 1st & 2nd. I have learned to be more relax. If we don’t get done in the time I had planned we just keep going until we are done. We somehow “catch up” with the schedule. Some units ended up taking less time than I planned. It all works out in the end. Just go one day at the time with the Lord by your side. This is a fantastic post and a fantastic place! We have been doing the K-12 program route for just over 3 years now and I am learning to dislike it very much. It’s PUSH PUSH PUSH PUSH and they do not even care if the children fall behind or what they might be missing they just want to keep them on a strict schedule and well if I wanted that I would have put them in regular school, this is a wonderful place thank you so much! 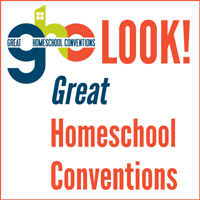 Beautifully balanced approach to homeschool planning! If it were me (and I’ve been there before), I would simply omit the studies we didn’t get to. Or I let them carry over to the next school year.